BACKTIME: Happy Hiroki Kuroda Day! After nearly two weeks on the road, that's just what I needed on a lazy Thursday afternoon: A Yankee matinee, featuring the league's best starting pitcher. Some others in New York might disagree. Mets fans will greet each other, "Happy Matt Harvey Day" on the day their All-Star pitcher is scheduled, the way Alabama fans greet each other "Roll Tide." 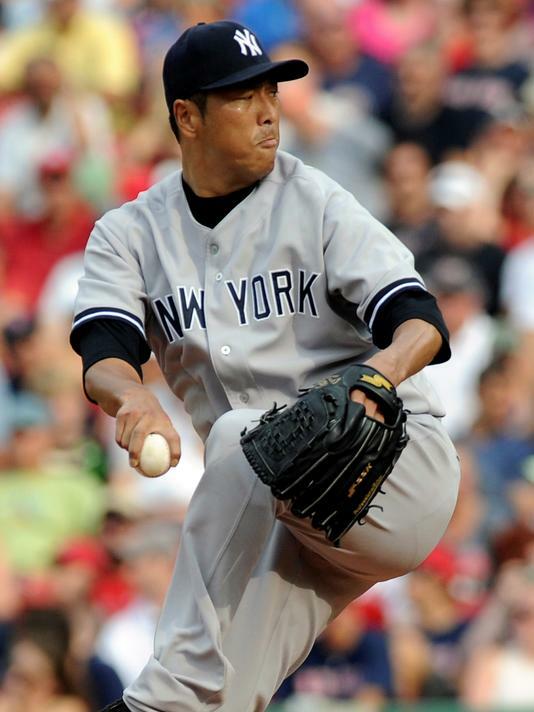 But since Harvey isn't even the best pitcher in his city, I say Happy Hiroki Kuroda Day. In 100+ degree heat in Texas, Hiroki Kuroda gave us 7 shutout innings (for the 7th time this season) and made the Yankees anemic offense look good enough in a 2-0 win. While the Yankees plod along at 54-48, averaging under 4 runs a game, alternating Lyle Overbay and Vernon Wells as their cleanup hitters, and ace CC Sabathia (9-8, 4.37) has been unreliable, Kuroda has been the team's MVP. Nobody will gravitate to Kuroda for Cy Young because of his 10-6 record, despite a 2.51 ERA that's 2nd in the AL. But the less than stellar Won-Loss mark deserves closer examination. > On April 20 in Toronto, Kuroda gave up just 1 ER in 7.1 IP. David Robertson blew the lead in the 8th before the Yankees won in 11 innings. > On May 28, Kuroda outdueled Matt Harvey for 7 innings, but Mariano Rivera blew the sane in the 9th and the Mets won 2-1. > On July 7, Kuroda gave the Yankees 7 shutout innings (again), but Rivera gave up a home run to Adam Jones in the 9th in a loss to Baltimore. Rivera's swansong season has been glorious, he's 33 for 35 in save opportunities, but both fiascos have come at Kuroda's expense. So Kuroda should really, legitimately, be 13-6. And in the 6 losses, the Yankees have scored a grand total of 10 runs, so maybe a couple of those should be wins as well. And he carries himself like an ace with presence and swagger, on a staff that boasts prolific types like Sabathia, Rivera, and Andy Pettitte. It's going to be a tough job for the Yankees the rest of the way with 60 games to go. They're 6 games back in the AL East, and 3 games out of an AL Wild Card Playoff. But it's good to know that once every 5 days the man is on the mound.